Vaduz, 15 April 2019. The LLB Group has received the Refinitiv Lipper Group Award for the best fund range in Europe, winning in the top discipline "across all major asset classes". In 2019 it has won a total of twelve Lipper Awards in Switzerland, Austria, Germany, and at the European level. This means that several times already, the LLB Group's Asset Management has been awarded the highest possible recognition in the fund industry across multiple countries. The Lipper Awards honour consistently strong risk-adjusted performance by the best of the best. 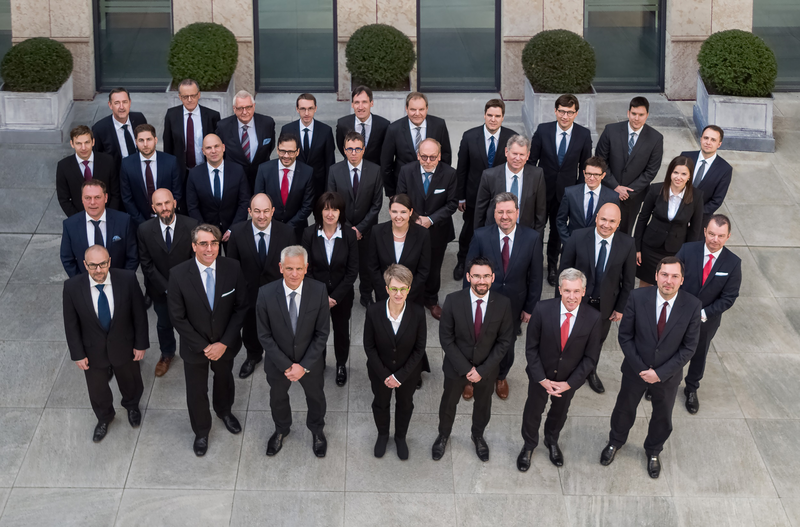 "We are delighted to have been awarded the title of '2019 European Champion' in the top discipline of Overall Small Company," says Markus Wiedemann, Chief Investment Officer of the LLB Group. "In this way, the LLB Group has shown once again that it creates sustainable added value for its clients through systematic investment processes." In order to win a Group Award in this category, at least three funds per asset class are required: equities, bonds, and mixed assets. For awards at the European level, the evaluated funds must also be licensed in at least three EU or EFTA countries. The funds with the best risk-adjusted performance over three years win. Between 2012 and 2019, the LLB Group has already won a total of 44 awards for its investment expertise. The awards of renowned specialists such as the Refinitiv Lipper agency, which can look back on over thirty years of tradition in more than twenty countries, are particularly significant. The various agencies present awards according to slightly different risk-return criteria and time periods. Also under these criteria, the LLB Group's strategy funds, equity funds, bond funds, and real estate funds have repeatedly been convincing over the past few years, underscoring the company's skill as an asset management and investment bank. According to Markus Wiedemann, "Many years of experience and systematic, value-based investment approaches, together with good teamwork within our Asset Management, are decisive for the surpassing performance of our funds." The LLB strategy funds have been the LLB Group's flagship funds, winning the highest number of awards so far. Various factors have been decisive for their good results, but above all good asset allocation and high-quality fund components. LLB strategy funds can draw on their full potential in this respect, as Markus Wiedemann explains: "About three quarters of the assets are invested in LLB funds according to the fund-of-funds principle. For the remaining quarter, the LLB third-party fund team uses a proprietary, highly effective fund selection process." Winners at the Refinitiv Lipper Group Awards 2019: The Asset Management team of the LLB Group is delighted with its "2019 European Champion" title in the Overall Small Company category.